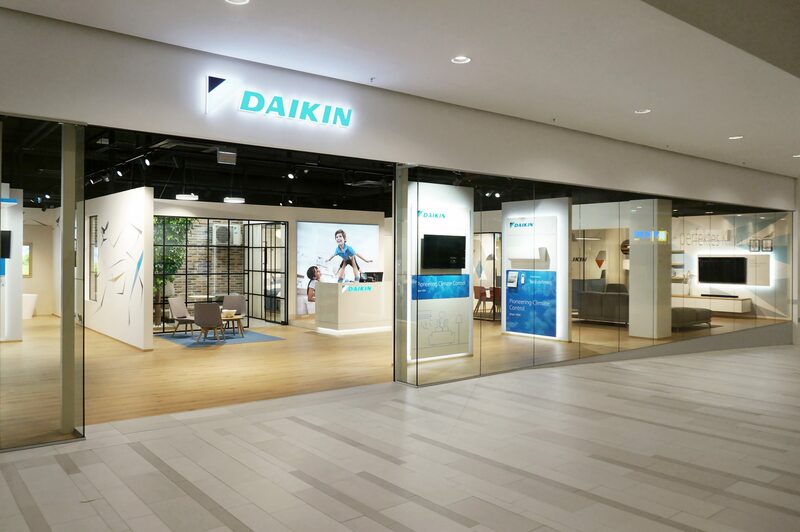 Having already developed and sold showroom furniture for business and trade partners of the DAIKIN company since 2016, we were approached by the Japanese world market leader in air conditioning and refrigeration directly. 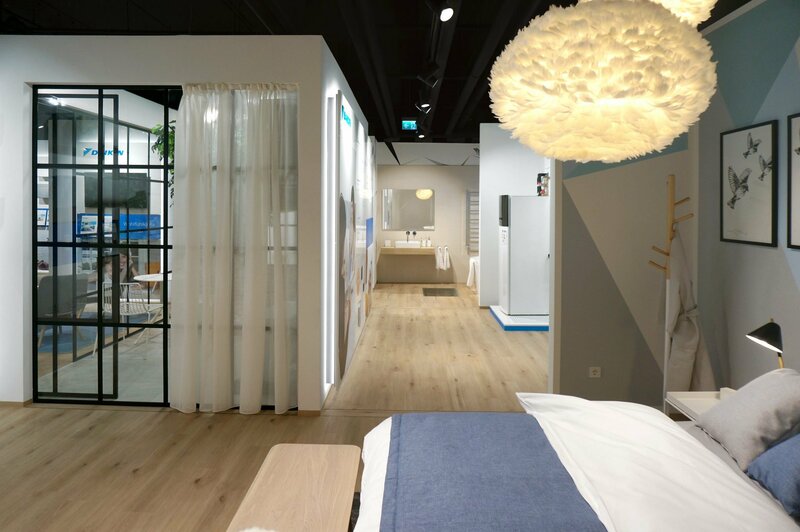 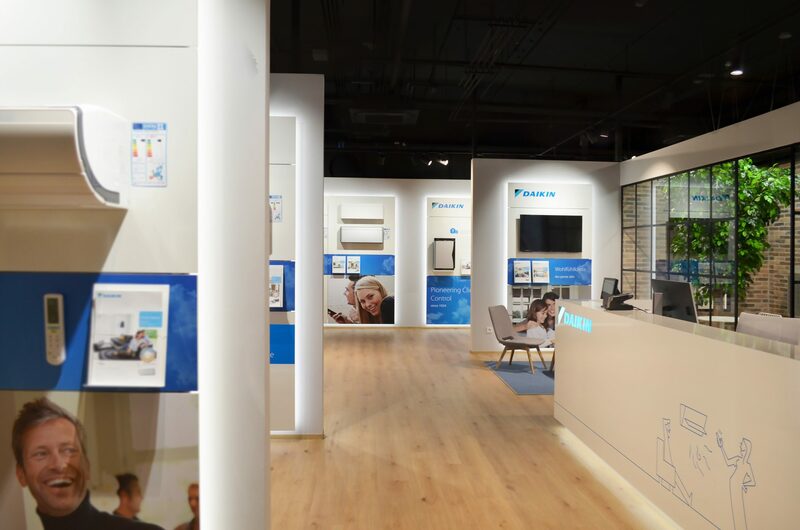 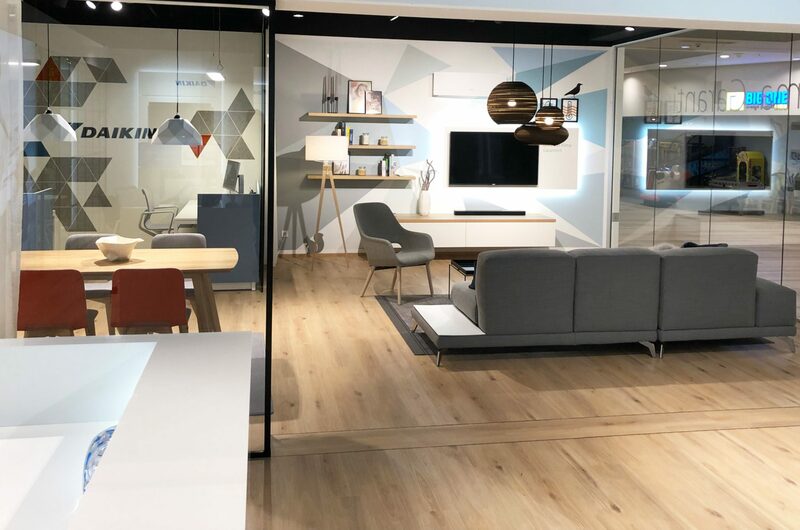 Our mission was to design and implement a new DAIKIN flagship store with an area of approximately 200 m² in the Shopping City Süd near Vienna, Austria. 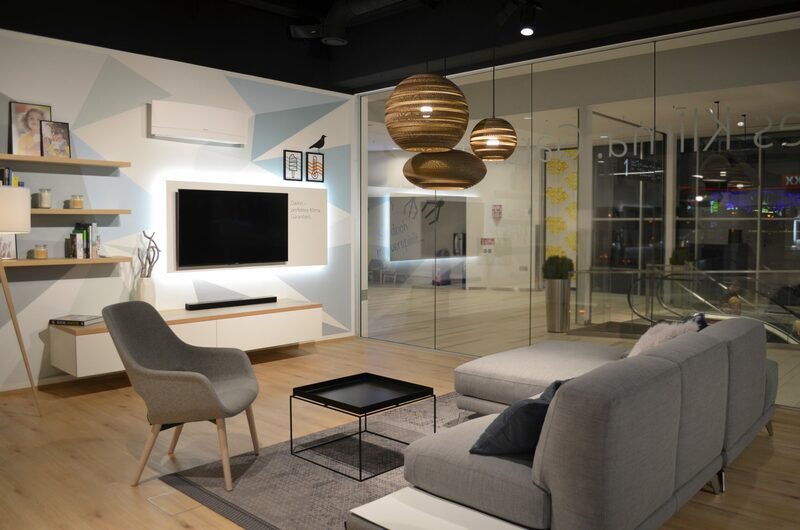 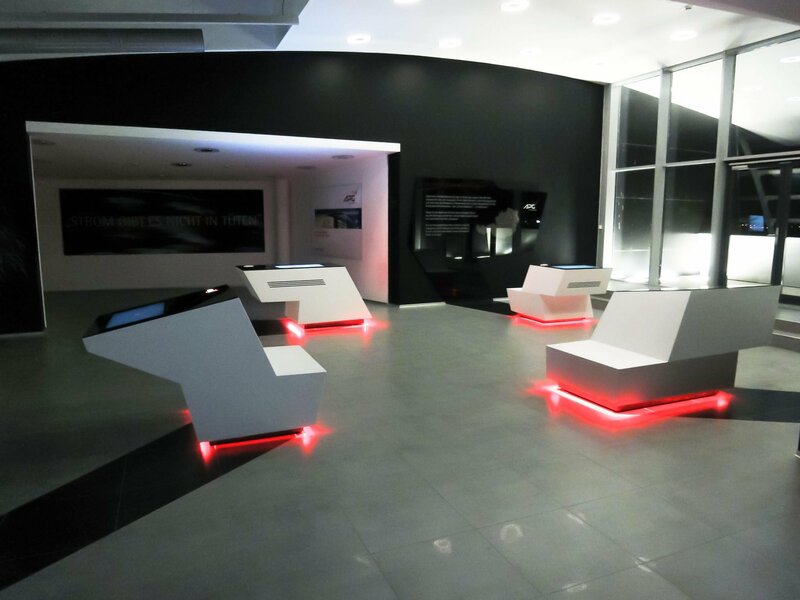 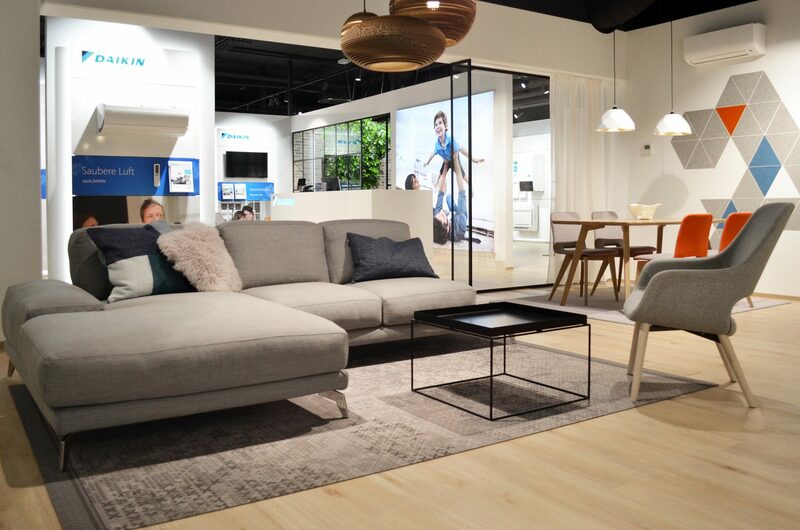 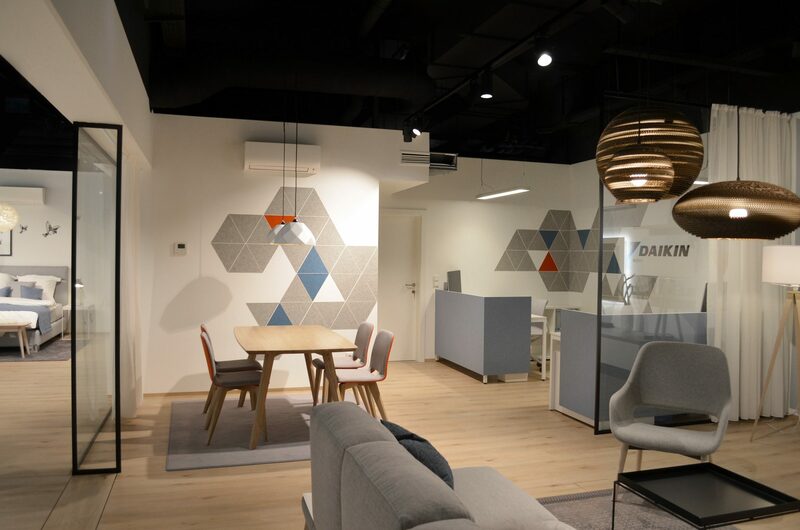 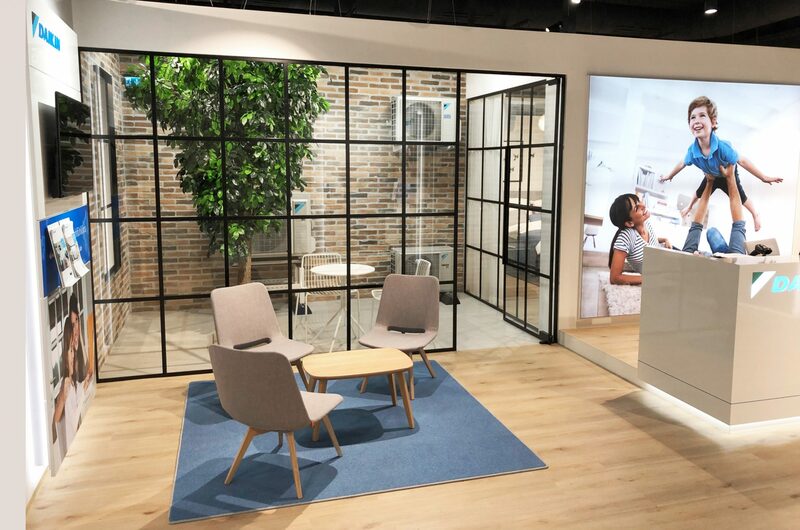 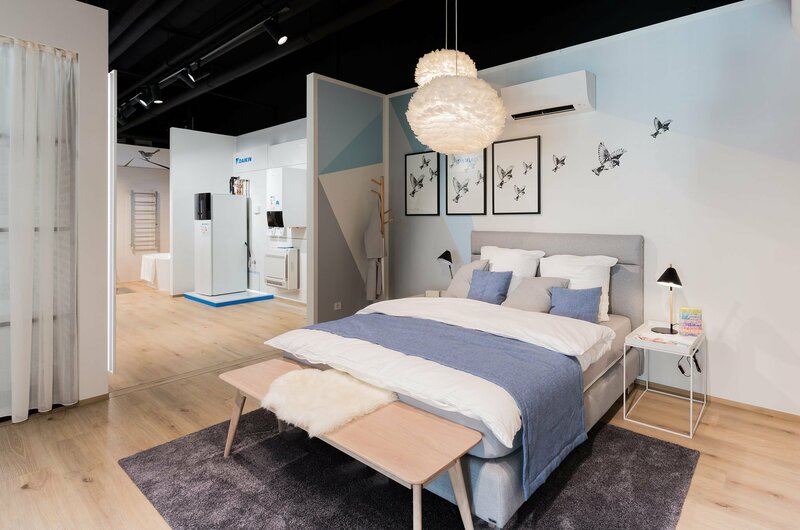 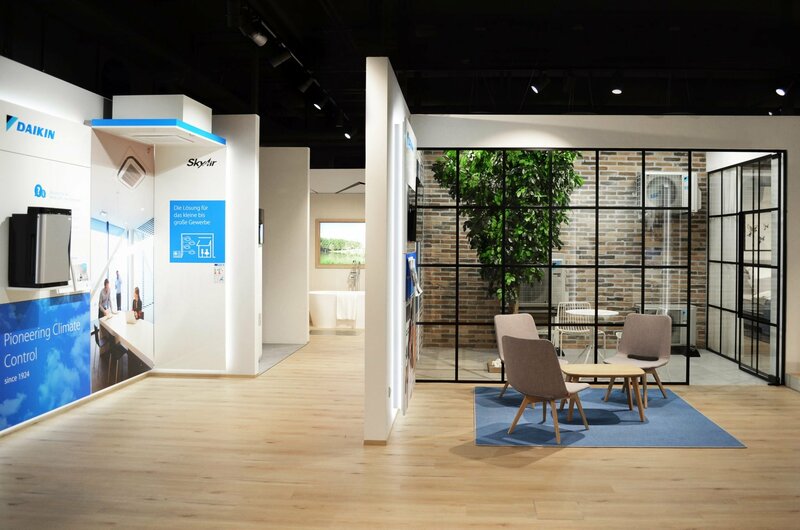 In addition to the classic product presentation, we developed an appealing living environment in which individual the DAIKIN devices were integrated into a realistic environment. 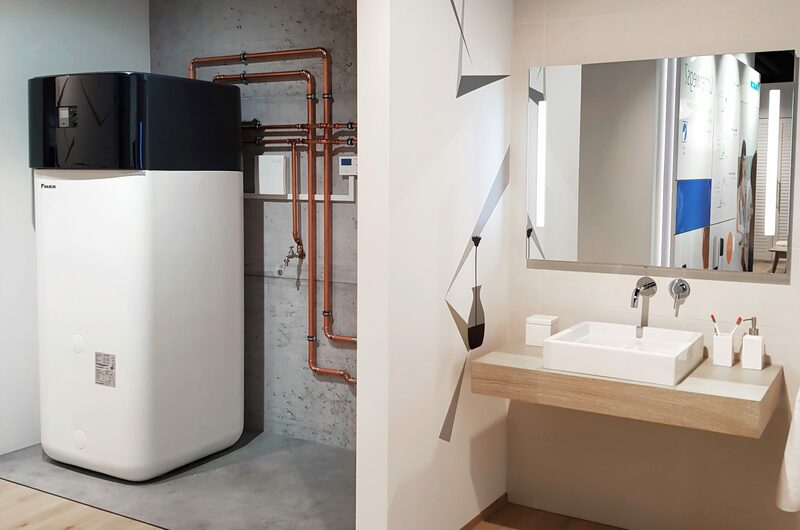 For example, appliances were positioned in a bathroom, bedroom or a green outdoor area. 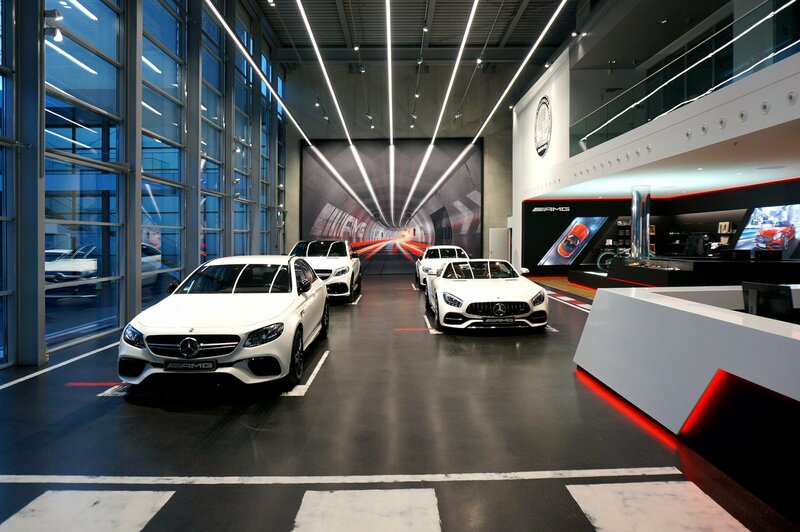 This gave private customers the opportunity to explore and get to know the variety of products and solutions in their direct environment. 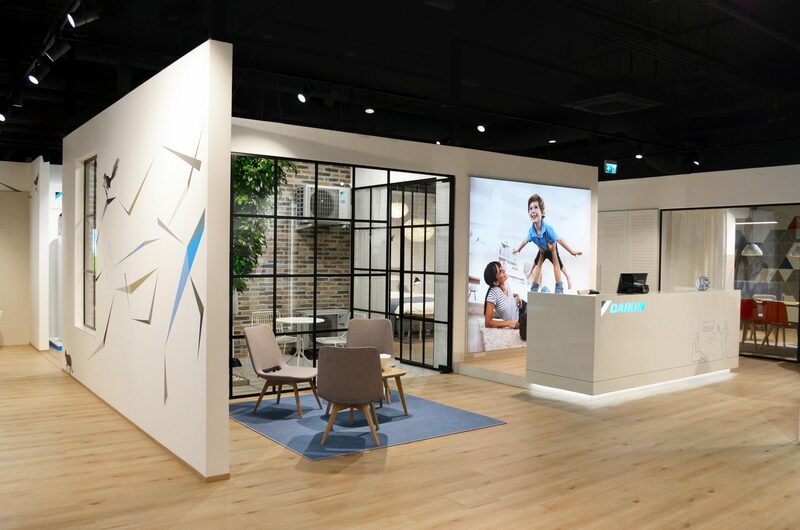 The colour and material concept was implemented in accordance with the Visual Identity Book that we had previously developed for the brand. 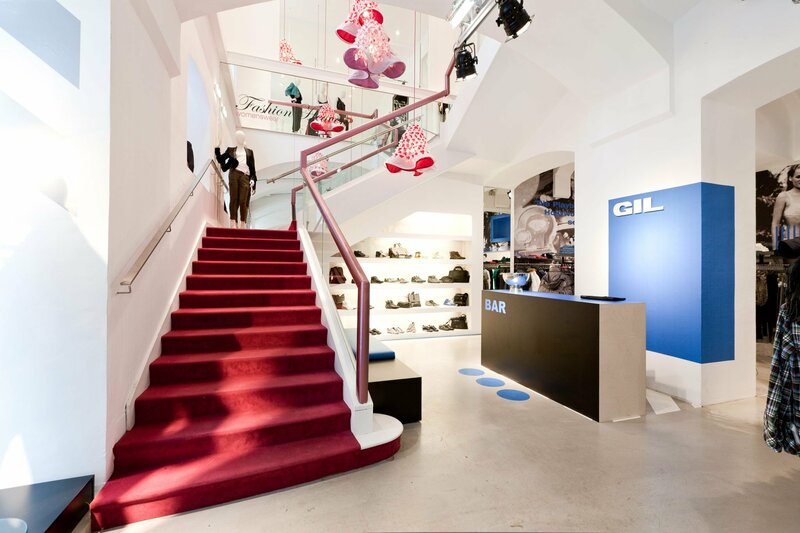 In addition, we worked together with a Viennese artist to give the flagship store an individual touch beyond the corporate identity.